2 Beds 2 Baths 972 Sq. 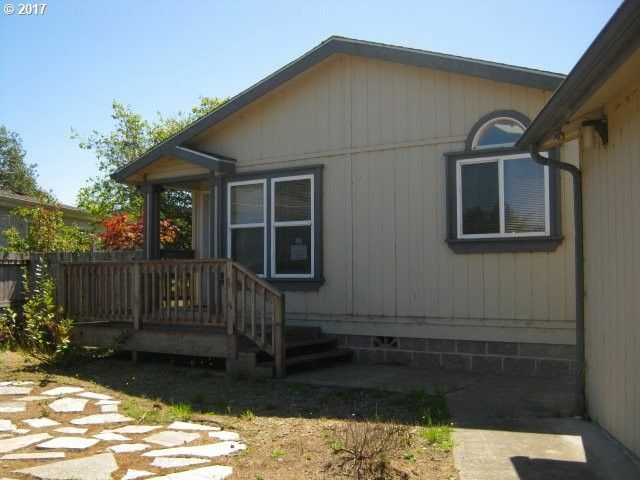 ft.
1997 Goldenwest 2 bed 2 bath home with cedar beveled siding and composition roof. Fenced yard, front and back. Double car garage. Paved street. Landscaped yard. Front porch entry.